Suppurative adenopathy in liver and spleen, due to the cat-scratch disease (benign lymphoreticulosis). 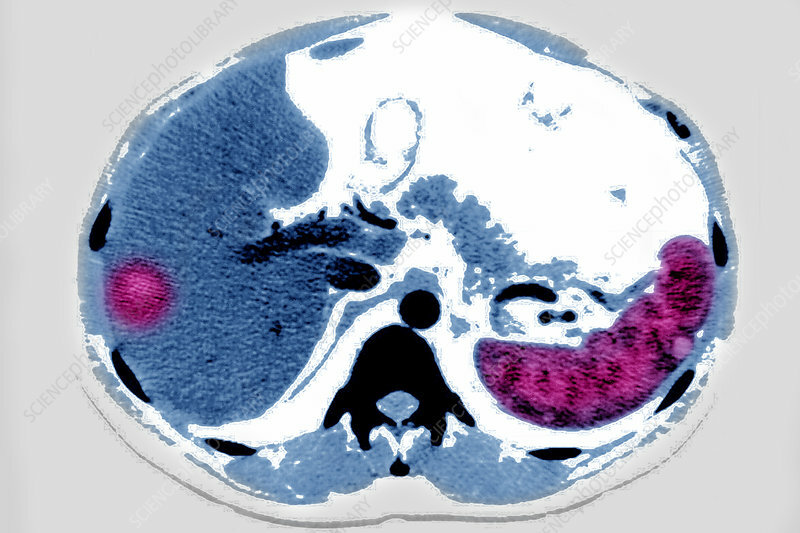 Abdominal scanner (CT scan) on axial section. Colour enhanced.